The servo drive system comprises the basic SINAMICS V90 servo converter and SIMOTICS S-1FL6 servomotor. The system features eight converter frame sizes and seven motor shaft heights to cover a performance range from 0.05 kW to 7.0 kW for operation in single-phase and three-phase networks. Manufacturers and operators of machines must fulfill numerous requirements: reducing costs, improving productivity, and ensuring the safety of machines. The industrial safety technology from Siemens offers innovative and economical solutions for the functional safety of machinery. IO-Link is a smart concept for the uniform connection of switching devices and sensors to the control level by means of a low-cost point-to-point connection. The IO-Link communication standard below fieldbus level enables central error diagnostics and localization down to the actuator/sensor level, and facilitates both commissioning and maintenance by allowing parameter data to be dynamically changed directly from the application. The AS-Interface (AS-i) – the Actuator-Sensor-Interface, to be more precise – is a smart bus system for the field level that connects all the sensors and actuators in the field to the higher-level control system more simply, flexibly and efficiently than any other. Efficient operation of a machine or plant requires a reliable, constant power supply. The quality and reliability of the SITOP stabilized power supplies ensure high levels of safety in DC power supply in industrial engineering and building management systems. SITRANS AS100 is an acoustic sensor used for solids flow detection. SITRANS AS100 detects changes in high frequency sound waves from equipment and materials in motion. It detects and reacts instantly to changes in solids flow to warn of blockages, product absence, or equipment failure such as burst filter bags. This allows an operator to take early preventative action and avoid costly damage. Siemens Echomax Ultrasonic Level Transducers provide trouble free, reliable performance. The non-contacting transducers are impervious to dust, moisture, vibrations, flooding and high temperatures. With the ability to detect submergence when paired with a submergence shield and an active face to reduce material build up, these transducers are a perfect fir for a range of industrial applications. Siemens transducers are easy to install and require little or no maintanence. The Siemens LUT400 series ultrasonic controllers are single point controllers which excel at continuous level and control in liquids, solids or slurry, applications in a wide range of industries. With accuracy of 1mm (0.04") ensures that measurements are consistently precise. The Siemens L560 radar level transmitter is in a class of its own. Not only does this extremely compact worldwide innovation come with a lens antenna completely eliminating the need for a large parabolic or horn antenna- but it is the first transmitter to use the 78GHz frequency. Both of these combine to give it a narrow 4 degree, beam angle. 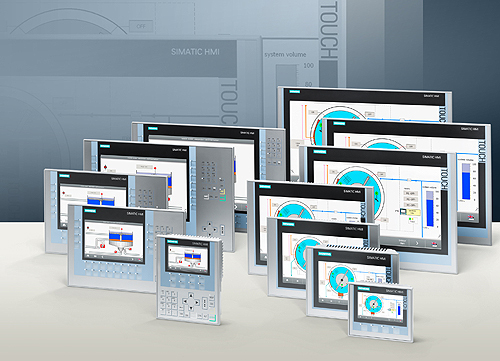 All devices of the SIMATIC HMI Comfort Panel family are characterized by the same outstanding range of functions regardless the chosen size of the device. PROFINET profiles specify additional manufacturer-independent characteristics and behaviors for devices and systems in the field of automation technology, e.g. energy management, functional safety and controlled drive technology. SIRIUS 3RW soft starters are a cost-effective alternative to using direct or wye-delta starters for starting three-phase motors. They avoid undesirable side effects such as mechanical bumps in the machine and mechanics or voltage drops in the mains supply. The Siemens SIRIUS 3SK clearly proves that safety applications can be impemented quickly, efficiently, and easily. This flexible family of safety relays with modular design has been enlarged with the addition of the new SIRIUS 3SK2 safety relays. The new Panel PC IPC477D PRO in 19" design with all-round IP65 degree of protection is now released for delivery! The new Industrial Flat Panel PC IFP1900 PRO in 19" design with all-round IP65 degree of protection is now released for delivery! The firmware V1.6 SP1 for the SINAMICS Intelligent Operator Panel (IOP) has been released for sale and delivery on July 21, 2015, and can now be downloaded. The firmware version V1.6 SP1 replaced V1.6 full compatible. 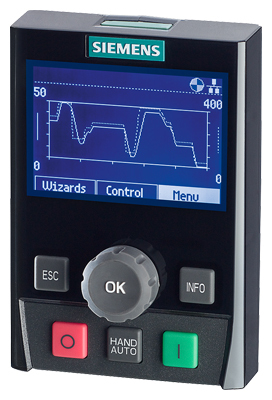 Delivery of the IOP with the firmware V1.6 SP1 is scheduled for the beginning of July 2015. This migration guide contains recommendations and notes for users who are currently using SIMATIC S5 automation systems and plan to migrate to the new SIMATIC controller generation S7-1500. 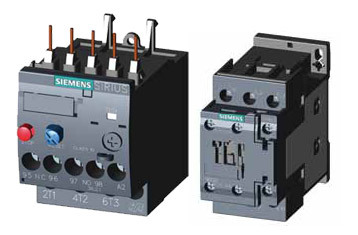 The Sirius 3SK2 safety relay from Siemens offers multiple safety functions in the smallest of spaces. Thanks to the user-friendly drag & drop parameterization interface, it is simple to create safety functions that can be optionally expanded to include test and diagnostics functions. Siemens has expanded its high-performance Comfort Panel class in the Simatic HMI (Human Machine Interface) series to include particularly rugged devices for use in extreme ambient conditions. With the Nanobox PC Simatic IPC227E and Nanopanel PC Simatic IPC277E, Siemens is presenting a new generation of especially compact, rugged devices for industrial use. Siemens has expanded its Simocode pro motor management system to include Modbus communication. Users and switchboard manufacturers can now integrate the motor management system from Siemens into Modbus-based automation and control system solutions in process industries such as chemicals, oil and gas, water and cement, as well as mining. Through the integration of an Ethernet interface, Siemens is extending the possibilities for using its Flat Panel product. Whereas thus far the latter could be used via the DVI and Displayport graphics interfaces at a distance of up to 30 meters from the server, connection via an Ethernet interface now enables the use of monitor screens as far away from the server as desired. Sirius Act is a completely new system of commanding and signaling devices developed by Siemens. A modular system, it features a robust design with IP69K degree of protection, high-level aesthetics and simple operation. Users have a choice of a wide range of pushbuttons and emergency stop buttons, selector and key switches and acoustic and optical indicators. The diverse range in metal and plastic versions for front panel mounting can also be combined flexibly with different rear-mounting contact and LED modules. Siemens has expanded its Sirius modular system with a new flexible and modular device series. The switching, protecting and monitoring devices are now also available in size S2. Siemens is expanding its product family of monitoring and control devices. At the SPS IPC Drives in Nuremberg, Germany, the company will present the Sirius 3RP25, a space-saving and functionally expanded series of the time relays. The new uninterruptible DC power supplies SITOP UPS1600 40 A without interface and with USB interface and the SITOP UPS1100 battery modules 2.5 Ah and 12 Ah are released for delivery ex delivery center Nuernberg with immediate effect. Leeds based process instrumentation specialists, Underwoods Electrical Ltd, have partnered with Siemens to showcase Siemens process instrumentation and analytics. The Siemens Process Instrumentation and Analytics demonstration lorry will be on site at CATCH on 24th February 2015 and the highly experienced Underwoods team will be delivering a series of workshops. in simple machines or systems, in building automation, or in a wide variety of applications in many sectors. Are you ready for IE3? With the change of regulations aiming for better energy efficiency for low voltage motors coming into effect in the New Year, our Control Products team are asking "Are you IE3 ready?" The SIMATIC IPC347D is the new industrial PC in 19" RACK mount format in the low-end price segment. Target industries include General manufacturing, Building and Process automation, logistics and the mail order business. The flush-mounted lens antenna does not need to be removed for clean-in-place cycles. Forward-looking switchgear systems with the SIRIUS innovations. More efficient control cabinet installation thanks to considerably reduced wiring and fewer variations, greater performance from the same design, efficient connections to the controller via IO-Link or AS-interface, application monitoring integrated into branches, simplified power supply as well as tools to facilitate planning and documentation are among the major benefits of the comprehensively innovative SIRIUS modular system. Today, in an increasing number of applications in plant and machinery construction, individual automation and drive solutions are demanded that automate simple motion sequences with low associated requirements. 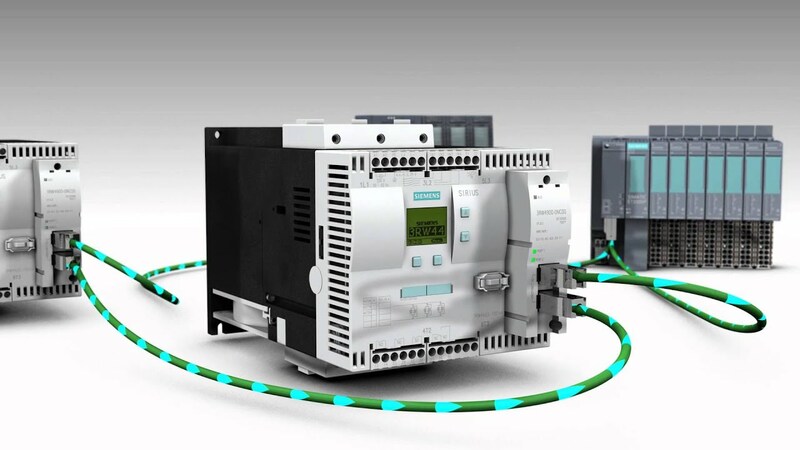 With its compact SINAMICS V20, the basic performance inverter, Siemens offers a simple and cost-effective drive solution for these types of applications. SINAMICS V20 sets itself apart with its quick commissioning times, ease of operation, robustness and cost-efficiency.